HCRA has launched a crowdfunding appeal to help raise money towards the creation of a community garden. A determined group of members hope to transform the scruffy patch of land outside the Nisa convenience store at the top of Rosslyn Crescent. They are hoping local people and others will get behind the Make Nisa Nicer campaign and donate money to help buy plants, soil and wood. The association has launched a funding appeal on the crowdfunding site IndieGoGo. For more details and to make a donation click here. 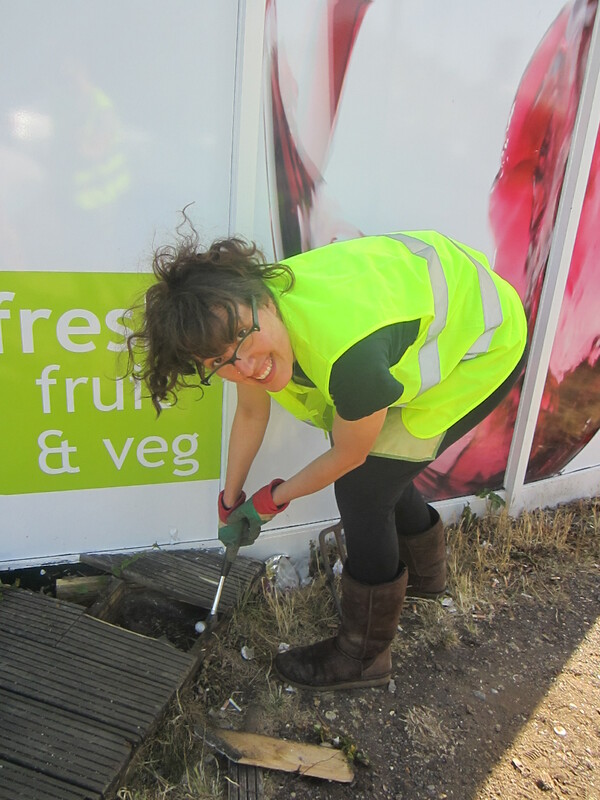 HCRA has been awarded a grant of £350 to create a community garden outside the Nisa convenience store. The money was awarded by Harrow in LEAF, the umbrella organisation for allotments iand gardening organisations in Harrow. Other local organisations have also pledged money to help pay for wooden beds, soil and plants. Harrow Mosque has donated £150 and the project is also being supported by the Jaspar Group, which runs the Jaspar Centre in Rosslyn Crescent. 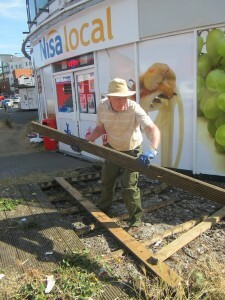 Work has already started on the site with volunteers removing decking and clearing rubbish. The aim is to get the new garden in place by early September this year. HCRA has been given permission to transform the scruffy patch of land outside the Nisa convenience store into a beautiful garden. Members are now seeking help from the local community to make their vision a reality. 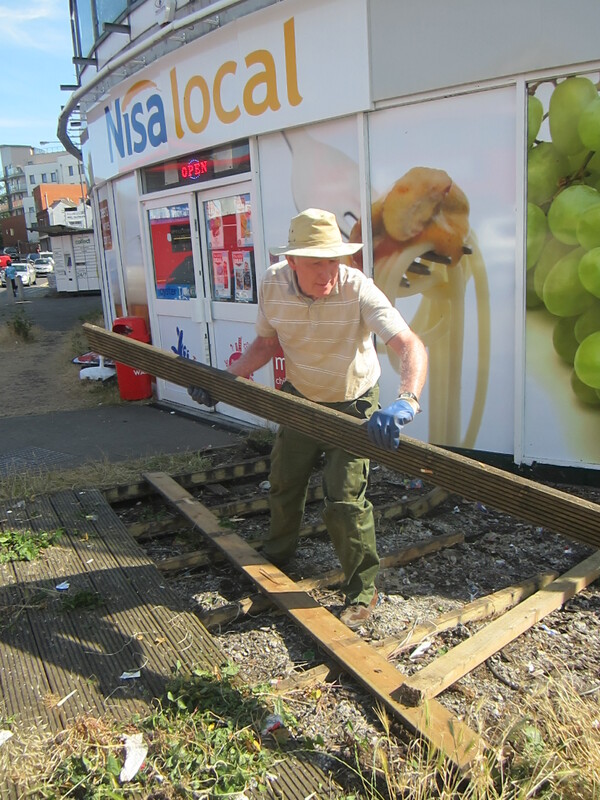 The plan is to create a series of raised beds outside the shop on the corner of Rosslyn Crecent and Station Road. These will be planted with attractive shrubs and flowers in an effort to brighten up the area. HCRA is seeking help from volunteers willing to work on the build and donations to help fund the project. If you would like to take part or can help in any way please email chair@hcra.org.uk or call 020 8427 4121.